This Standard-Horizon is just one of the late-model VHF radios that includes GPS and automatically has DSC ability, no wiring required. 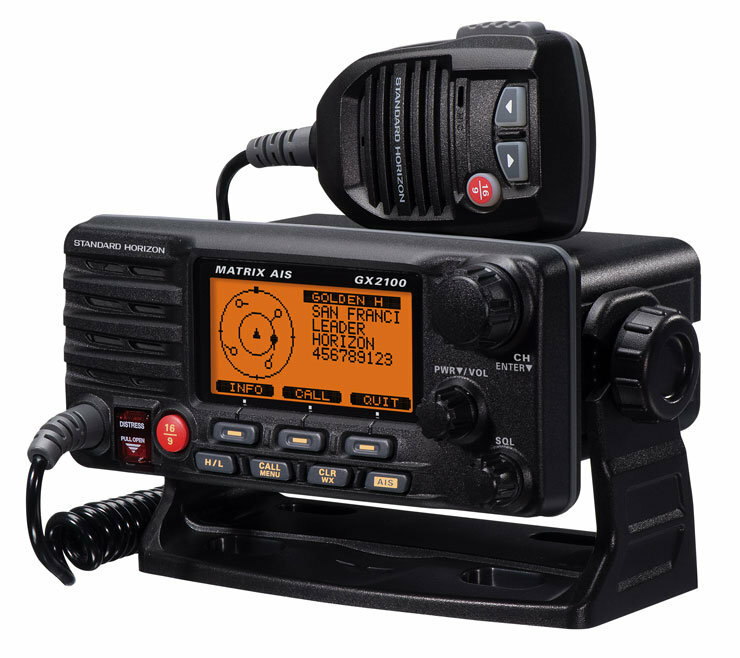 A little while back we talked about the proper way to call the Coast Guard on your VHF radio, and I mentioned then that having DSC active on your VHF is a great help. With DSC, when you call the coasties they automatically know your exact position, the type of boat you run, and what sort of special safety gear you may have onboard, if any. All radios built in the past decade have DSC capabilities—it’s a legal requirement. But for that DSC function to work, you have to take the time and effort to interface your VHF with your GPS. And this is where most of us fall flat. In fact, the Coast Guard estimates that nine out of 10 boaters never bother to make the connection. And if you’ve ever done it, you may have learned that it’s not nearly as easy as it ought to be. The NMEA data-in and data-out wires sprouting from a GPS aren’t color-coded in an consistent manner industry-wide, and while your data-out line might be pink, mine might be orange. To make matters worse, I’ve encountered more than one wiring diagram which mislabeled the color codes the manufacturer used. This is where I used to get all preachy, and start expounding about how you, him, and every other boater out there really needs to take the time to figure out how the NMEA wiring on your GPS works. DSC is just too important to ignore, because it dramatically speeds the time to rescue in an emergency, and eliminates possible confusion as to where your boat is when you need help. But I’m not going to do that anymore. Nope. I’ve basically given up, because it seems to have zero effect. I have a new suggestion, instead: buy a new VHF with a GPS built-in. The size and cost of GPS receivers has dropped radically in the past few years, and I’m sure you noticed they’ve started popping up in everything from watches to video cameras. Now, they’re in plenty of VHF radios, too. In fact, today there are even some handhelds with GPS built right in. Sure, it’ll cost you as hundred bucks or so. Yes, you will need to mount it at your helm (though this installation is a piece of cake for anyone who can operate a screwdriver). But all in all the amount of effort and cash this requires is miniscule. Especially when compared to the potential return—saving your life.